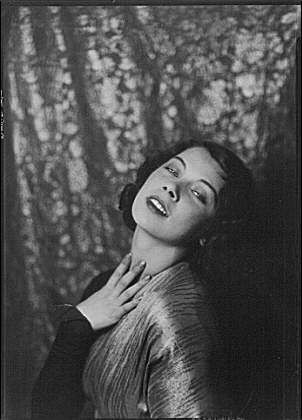 Tilly Losch ( 1903-1975) the Austrian born dancer, choreographer, actress in London, New York and Hollywood, and clever painter lived and worked for most of her life in USA and Britain, although she began her career in her native Austria. Tilly ( born Ottilie Ethel Leopoldine Losch) is not yet the subject of a full length published biography, especially one that draws on her personal papers and memorabilia at The University of Binghampton, New York State, USA. To help to fill this gap, in 2013, William Cross, the British Society biographer compiled a long biographical sketch of Tilly’s life and times for his book “ Catherine and Tilly: Porchey Carnarvon’s Two Duped Wives” The Tragic Tales of the Sixth Countesses of Carnarvon. This new shorter compilation "Tilly Losch 'Schlagobers' Sweet Fragments From Her Life" was later added with a few further facts and stories recording parts of Tilly’s remarkable life and some of the people she knew. Describing herself as an 'Actress, Dancer and Artist', ( which is the inscription on her grave stone ) Tilly’s story and her legacy deserves to be much better known about across the globe. The UK based biographer William Cross, FSA Scot, author of ten books on men and woman ( mainly whose stories have been overlooked ) plans to add other titles to this end about Tilly Losch ( who was briefly the Sixth Countess of Carnarvon). William Cross, FSA Scot is the author of six books on the Carnarvons of Highclere Castle, Hampshire, the backdrop to TV's Downton Abbey. He is currently working on a full length biography of Tilly Losch.